Product prices and availability are accurate as of 2019-04-19 17:23:42 UTC and are subject to change. Any price and availability information displayed on http://www.amazon.com/ at the time of purchase will apply to the purchase of this product. 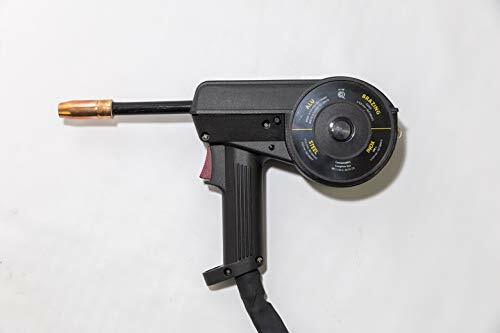 The Metal Man EZ Feed Spool Gun is designed to connect to select Metal Man welders only. See your welder product information for compatibility. It is used to feed wires that are difficult to feed through the standard MIG torch. Most often this is used for aluminum wires, but any type of wire can be used on 4 inch spools. With the 4 inch spool mounted right on the Spool Gun, the distance the wire has to travel is greatly reduced, resulting in less feeding problems and better overall welds. The Metal Man EZ Feed spool gun is rated at a 35% Duty Cycle @ 200 amp when using CO2 gas and is rated at a 35% Duty Cycle @ 160 amp when using Argon gas. 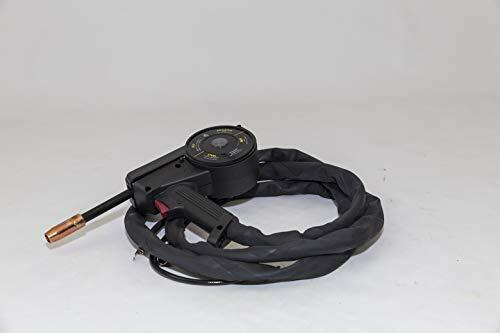 This spool gun is capable of running .030 and .035 wires and is ideal for light fabrication and welding repair.